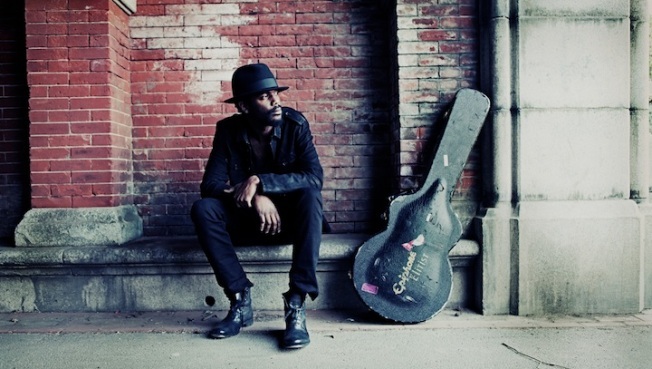 1st Look Loves: Gary Clark Jr. "Blak and Blu"
Gary Clark Jr's debut album "Blak and Blu" is available now. The album is finally here, "Blak and Blu." It couldn't come soon enough. Following the release of Gary Clark Jr.'s first major-label release "The Bright Lights" EP, the full-length debut album has dropped and we are loving it. It was only last year that we were introduced to the Austin-based musician by his hometown crew and have played "Bright Lights" on repeat since, waiting patiently for the full album to arrive. It's soul, blues and rock at its finest and it's the work of a musician, who only at 28 years old, seems like he's been in the business forever. The debut single got critical acclaim very early on from legends like Paul McCartney and Mick Jagger. Alicia Keys even said it herself, "Hurry up and Google [him], before you're late." The man has proven that he's got it, on stage and in the studio. From the times we've encountered Gary, he's generally a pretty quiet guy, but when he gets on stage, there's no questioning that he's heard. And, we like what we hear. Some say he's like Hendrix. Others say Stevie Ray Vaughan. But If you've heard his insane solo guitar riffs, you know it's Gary Clark Jr. Check out the debut single below, get that album, and rock!